Measles is spreading in the U.S. As of 5 February, there were 50 cases in Washington state and five in Houston. New cases are being added daily. Health officials, including the U.S. surgeon general, are urging parents to get their children vaccinated. Measles is spreading in the U.S. As of 5 February, there were 50 cases in Washington state and five in Houston. New cases are being added daily. Health officials, including the U.S. surgeon general, are urging parents to get their children vaccinated. 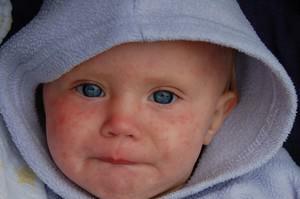 Measles was eliminated in the U.S. nineteen years ago. The cases that occur here now are imported from other countries. But that is happening in the U.S. with greater frequency. Dr. Camille Sabella is a pediatric infectious disease specialist at the Cleveland Clinic.